Career ending for John McGuinness after heavy accident? Already in the trainings of the NorthWest200 John McGuinness had an accident. At first it was considered only a broken leg. Unfortunately, it turned out that also 3 ribs and four vertebrae fracture broke. The fracture on the right leg also turned out to be somewhat more complicated. Fixing with a plate was not possible. An external fixator was needed, so a support system which is largely outside of the leg. Parts of it are fixed by the skin to the bone in order to guarantee a correct bone position. It is assumed that the fixator must remain on the leg for 6 weeks. The data recording showed that a technical defect was due to the fall. 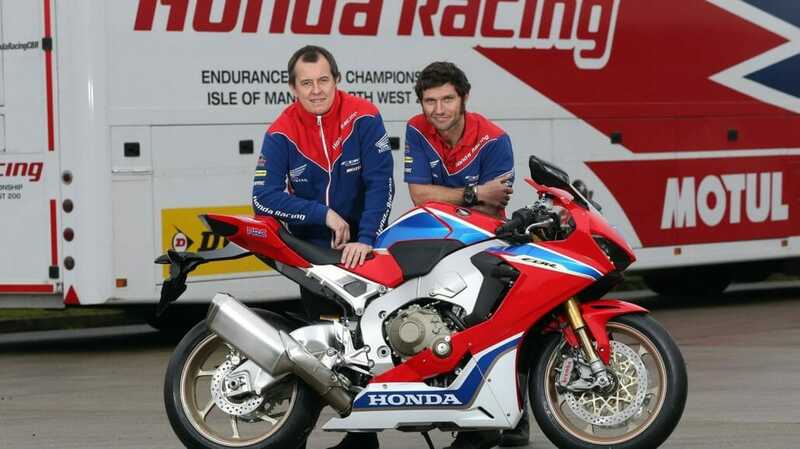 Honda canceled another participation in the NW200, and Guy Martin did not start at the Superstock race. A full investigation of the mechanical problems on the Honda CBR1000RR should be awaited. According to rumors, the electronic gas hung. Casey Stoner also had an accident due to hanging gas at a Honda at the 8 hour race of Suzuka. still possessed but here on the old model of a throttle cable. 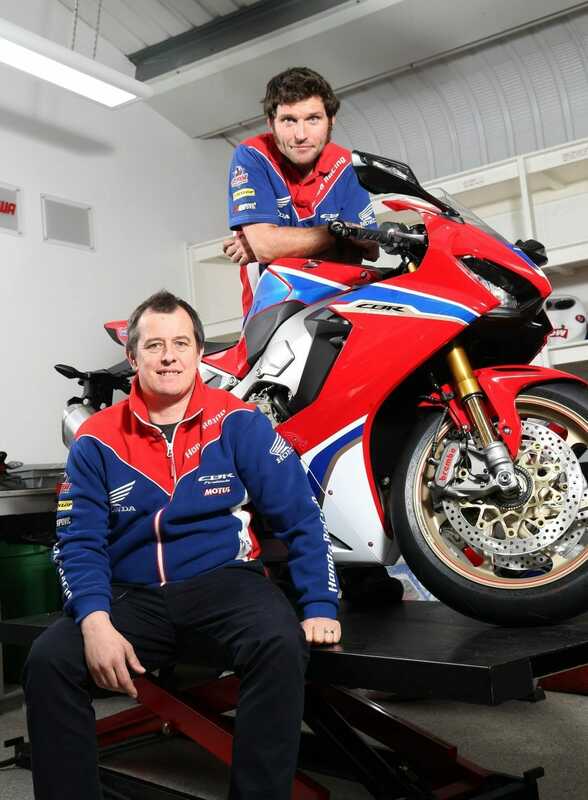 PACEMAKER, BELFAST, 16/1/2017: Guy Martin and teammate John McGuinness with the new CBR1000RR SP2 Honda Fireblade they will race in 2017. Die TT auf der Isle of Man wird der King of the Mountain damit wohl verpassen. What do you think John will give up his RoadRacing career because of the accident? In the last few years he was not so successful and the serious accident could have given the decisive impetus.